I have continued to crochet like a madwoman! 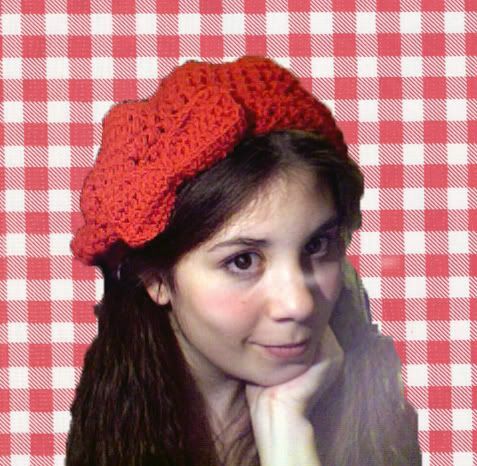 I finished the red Puff Stitch Beret! The pattern can be found here. I'm really happy with how it came out! Since I used a sport weight yarn and not a DK weight and went up a hook size, I had to do some modifications so that the hat brim wasn't way too big. In case anyone else wants to give this hat a try, here are the pattern changes that I made. I want to make another one of these closer to winter, maybe in navy blue. I've been watching too much Mary Tyler Moore, apparently, because whenever I put the beret on I have an overwhelming urge to throw it in the air. 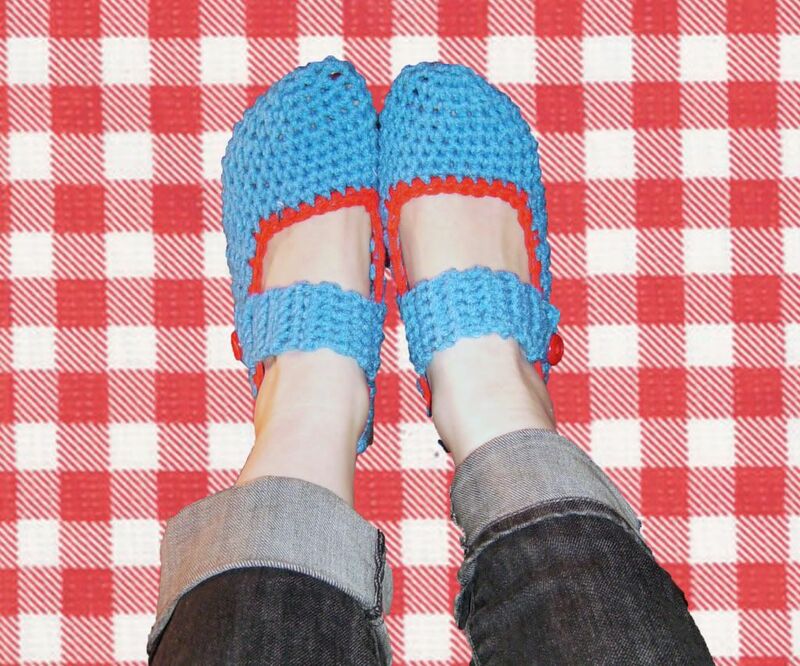 I've been coveting a pair of crocheted Mary Jane slippers for a while, and I couldn't find a pattern for exactly what I was looking for on Ravelry, so last week I looked on Etsy. I bought a perfect pattern from wpooh87's Etsy shop, and made a pair in a few hours. I'm thrilled with them, and they're soooo comfy. I might go down one hook size from the H recommended in the pattern, though, just for a slightly denser fabric and tighter fit, more like a sock. 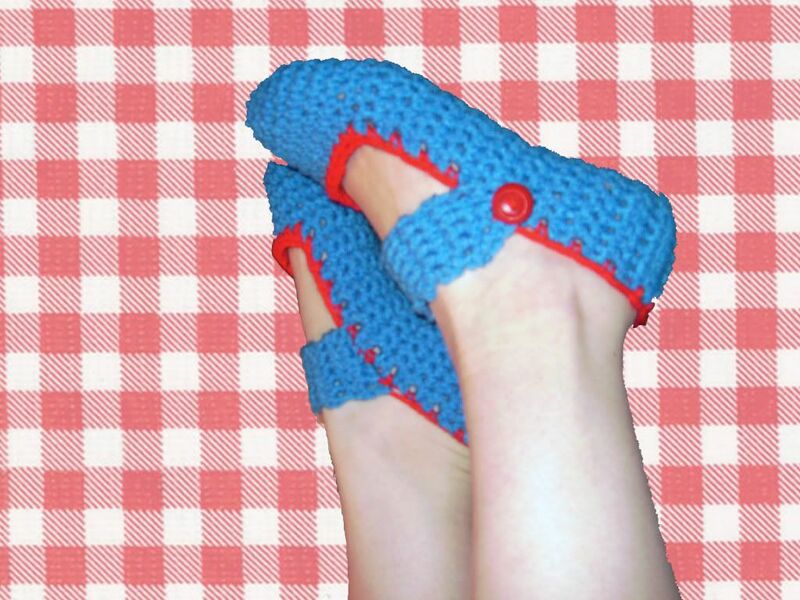 But they're really fast to crochet, easy, and the seller emailed me the pattern PDF just a few hours after I bought it. There was only one seam, too, which was great. I spent my day today working on sewing some things for my dorm room, which I will be moving into in eleven days. 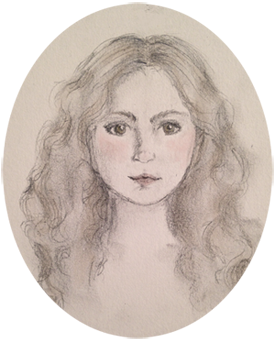 Eleven days! How is this possible?! I'll be leaving on Saturday to go to Cape May, New Jersey, and then going to school straight from there. So, I'll probably wait until I'm moved in to blog with pictures of the dorm-wares, so that they can be seen in their full dorm-y glory, along with the wall decals that I bought from Etsy. Enjoy the last of summer! Oh my goodness!! I love those mary janes!! So cool!! Aw, thanks Zach! I CAN'T WAIT TO SEE YOUUUUUU. Thank you! I've always refused to wear slippers because I don't like a clunky sole when I'm sewing, but these are perfect, like comfy socks. And they were soooo fast to make because the pattern is for worsted weight yarn. You have surpassed 1,000 page views!